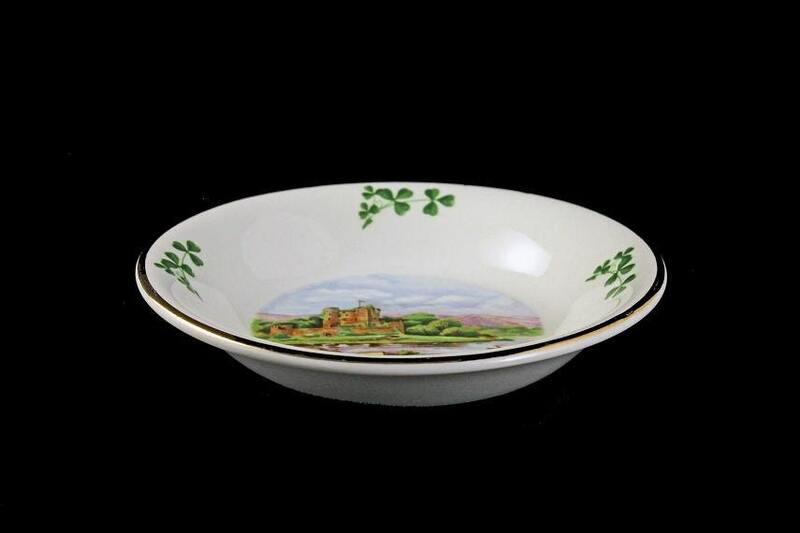 A delightful souvenir bowl from Ireland. 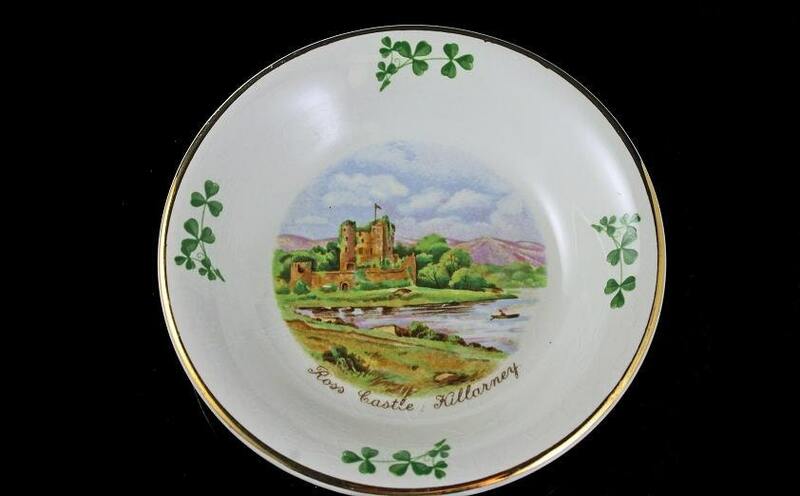 It was made by Arklow Pottery in the Republic of Ireland. 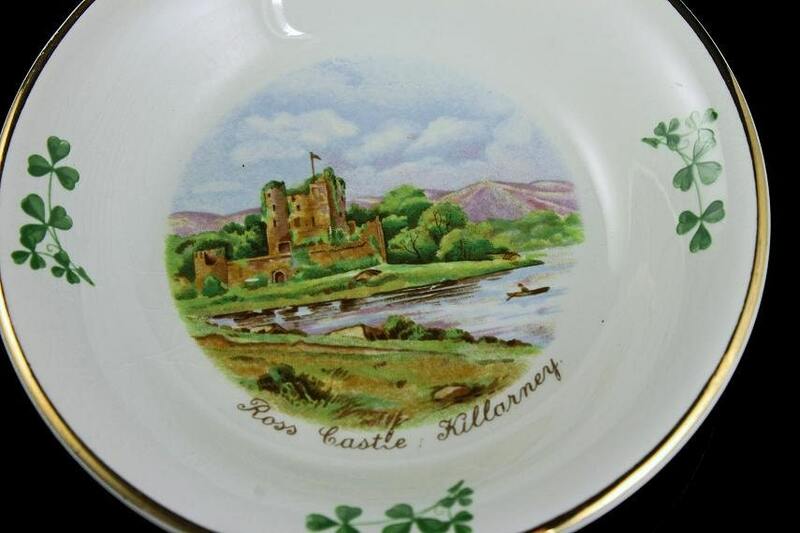 The small bowl has a depiction of Ross Castle Killarney on the bottom inside. On the upper rim, there are shamrocks and is trimmed in gold. This would make a great trinket or candy bowl. 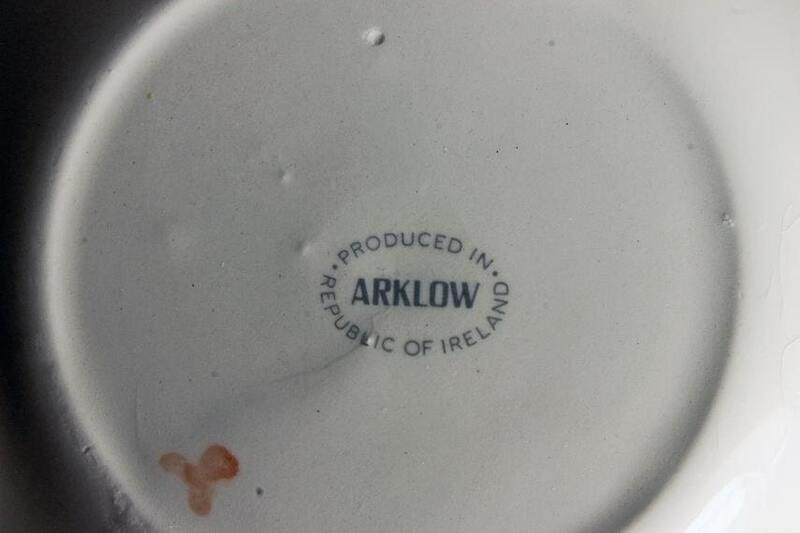 Arklow Pottery was established at South Quay, Arklow, Co. Wicklow in the Republic of Ireland in 1934. This company produced earthenware goods for table and decoration. 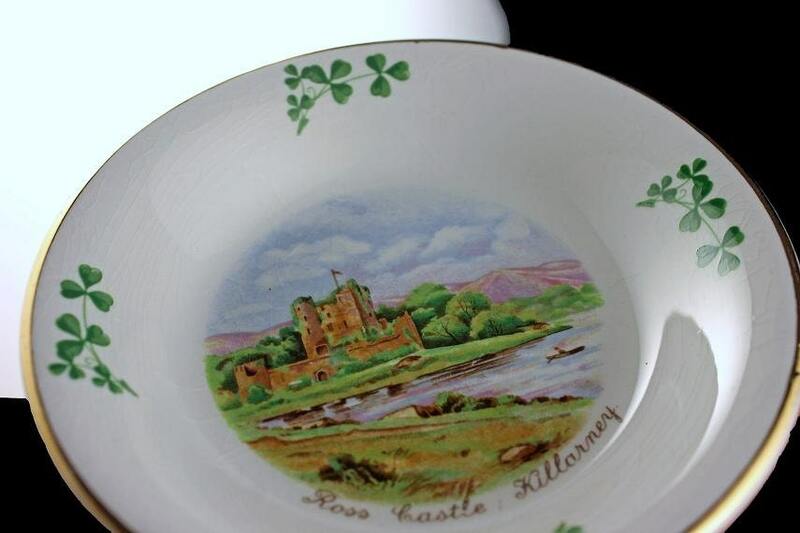 It was taken over by Noritake and production ceased in April 1999. This bowl is in very good condition. There are no chips or cracks but there is minor crazing.